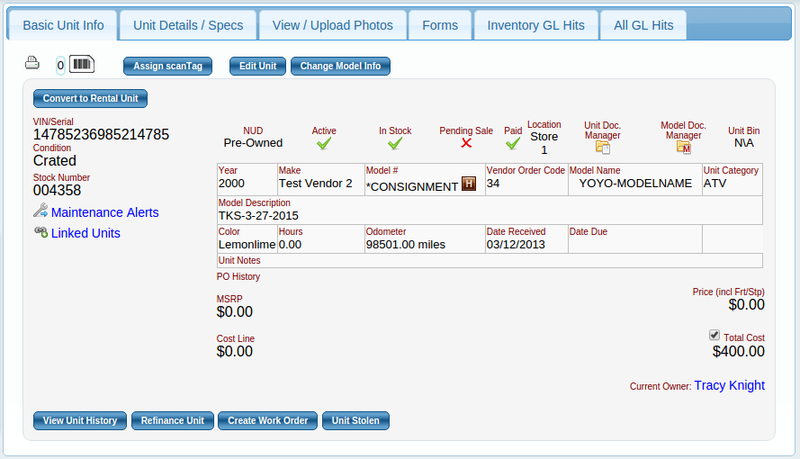 For those of you who enjoy helping your customers, here’s the perfect module for you – an integrated Consignment Module. You can sell their Units in your store and mutually benefit from the process. If you are currently taking advantage of helping resell a customer’s products you will appreciate the ease and efficiency this module has to offer. The Consignment Module allows you to bring in product that does not go into your inventory but allows you track the item, sell the item, and pay the owner while Lizzy manages the administration of the entire process seamlessly. Tracking inventory is one thing, but eventually you need to move that inventory into your customer’s hands. Lizzy contains a very advanced invoicing system that can not only sell parts, but a lot of other things as well. Part Sales is what we call moving regular non-serialized inventory through the system and Lizzy comes with a way to do just that. Directly from the invoice we can see things like inventory sales history, currently allocated, bins where the item is located, as well as abilities to drop ship from a supplier, rush shipments and more. With Lizzy, you don’t just get an invoicing module, you get an invoicing module that is tightly integrated into every other part of Lizzy, giving her capabilities that most other systems only dream of. At nizeX Inc., we recognize the importance of selling your products and tracking the movement of your inventory throughout your business. For those of you who take the process a step further and include the Rental of your products, Lizzy has you covered with her full blown integrated Rental Module. Lizzy allows you to keep constant track of your Serialized Unit Inventory; from the time you place your order to the time it leaves your lot……and beyond. Lizzy retains a record of every unit you have ever sold or serviced! 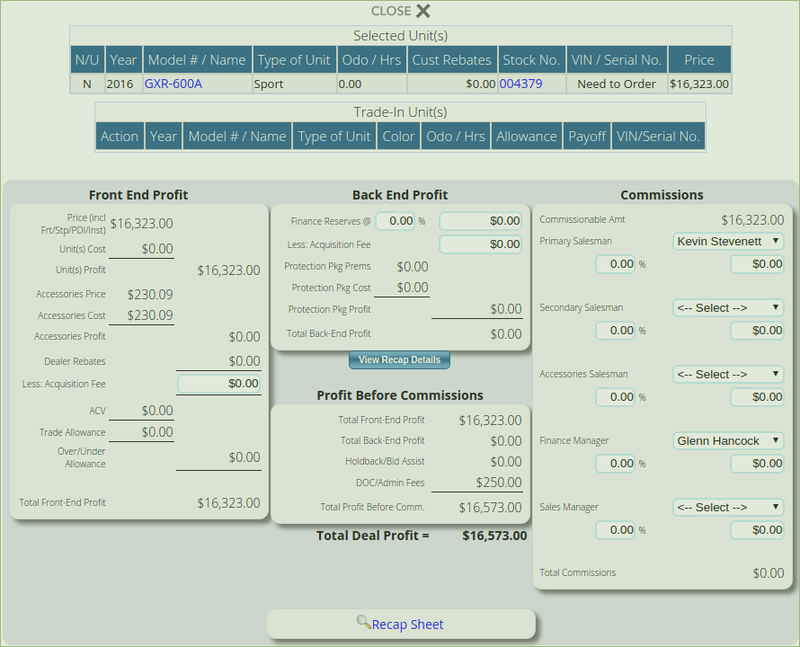 Lizzy also offers robust Serialized Unit Sales functionality that allows you to easily sell multiple units at a time. 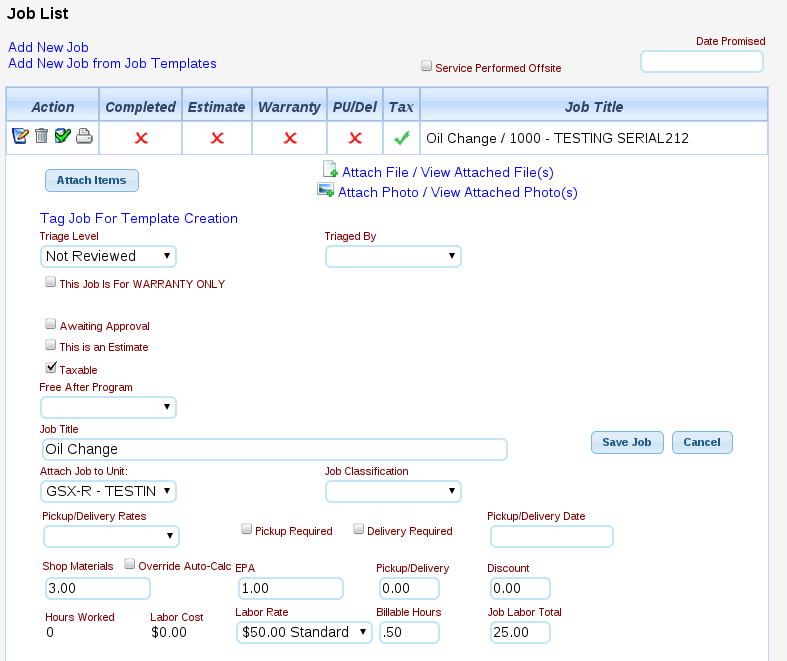 Lizzy can edit unit attributes on the fly at time-of sale, handle customer and dealer rebates, and set up customer financing. In addition, Lizzy also handles taking trade-ins, selling parts and accessories along with a unit sale, creating service jobs (such as setup, PDI, and installation) for the unit. She also sends them to the service department for completion and handles your F & I products. At nizeX Inc., we understand the importance of an operating an efficient and profitable Service Department, therefore Lizzy goes the extra mile for you in supporting your service department. Your service department will benefit greatly from the freedom and ease of use when doing service tickets in Lizzy. You will be able to start a service ticket for a customer, add multiple units including one or more jobs per unit if need be. Lizzy allows you to attach parts to jobs or sell them as individual items if necessary. Lizzy tracks all parts and labor attached to each job. You will also be able to do internal service tickets for units that are currently in your inventory for services such as setup, installation, or repair. Lizzy will automatically adjust the cost for you giving you the ability to alter the selling price of the unit based on the work. Lizzy also has scheduling capabilities when it comes to service. When a customer calls to schedule in their unit for service, you will take down all needed information such as unit information and what needs to be done, as well as what date and time to bring the unit in. When the customer arrives, you will go right to the scheduler and start the service ticket from there. By doing this, Lizzy will automatically fills in all pertinent information on the service ticket for you. Recently, we began supporting the Opticon bluetooth barcode scanners in Lizzy. This scanner can work with just about any bluetooth enabled device, but is primarily intended for smartphones and tablets (iPhone, iPad, & Android). With Lizzy’s all new scan tag system, you can assign a unit a scan tag that attaches the specific unit to the customer who owns it. When the unit is brought in for service, the scan tag can be scanned creating a new work order with the customer and unit information already on it…….take customer service to a higher level with Lizzy.